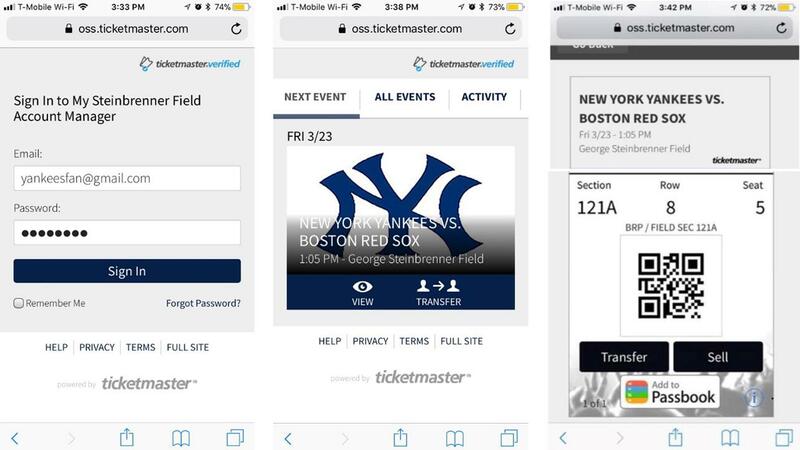 Your confirmation email will contain a link to view your tickets from your mobile browser, which can be scanned for entry into George M. Steinbrenner Field. Using your mobile device, click on the "Mobile" link in your confirmation email. Login using your "My Ticketmaster Account" information. Click on your ticket to be scanned for entry into George M. Steinbrenner Field or click the checkbox on the ticket(s) you wish to transfer to other members of your party attending the game. Log into your "My Steinbrenner Field" Account Manager from your mobile device using your existing account number or email address and password. Please make sure you download and transfer to each member of your party his/her individual ticket via mobile smartphone, prior to arriving at George M. Steinbrenner Field. Mobile tickets should be downloaded and accessible before proceeding through the security screenings at George M. Steinbrenner Field. Transfer mobile tickets to each member of your party prior to arriving at George M. Steinbrenner Field. 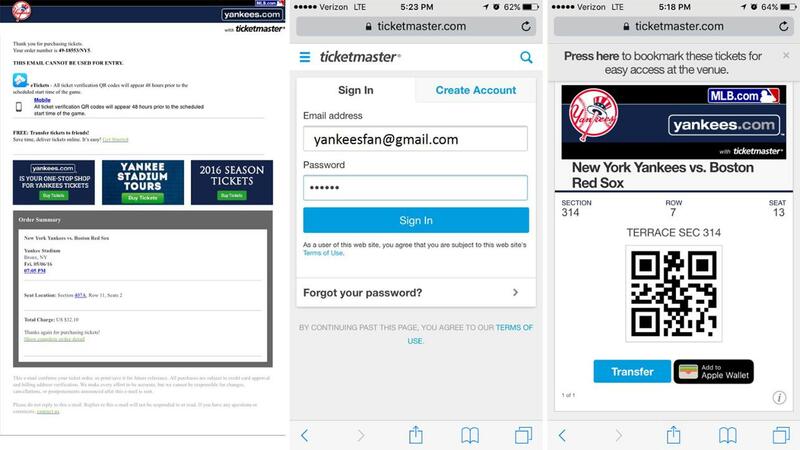 Mobile tickets cannot be transferred after they have been scanned and Guests are inside George M. Steinbrenner Field.